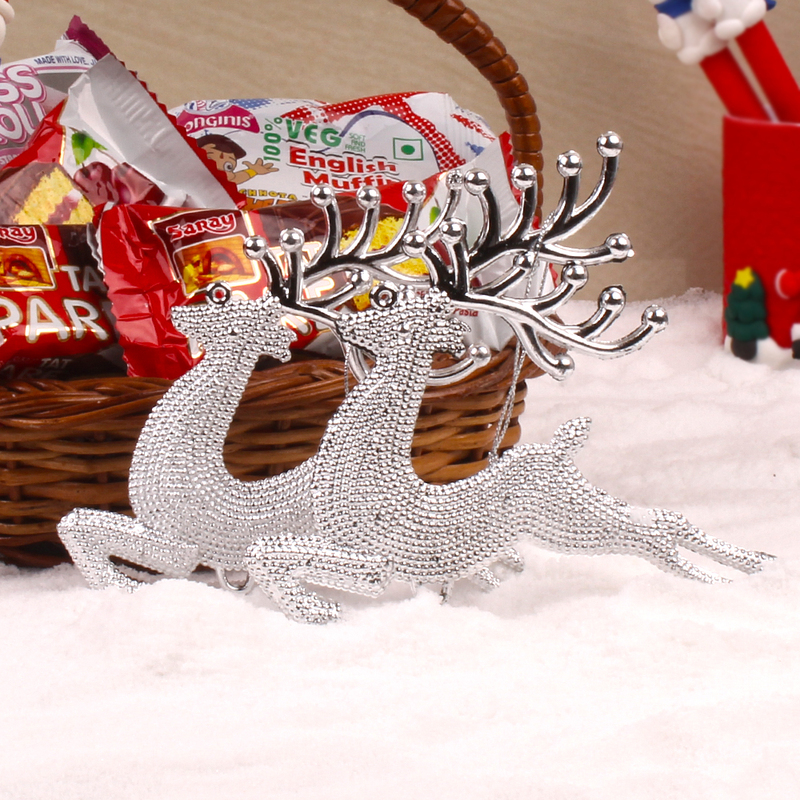 Product Consist : 2 pcs of Reindeer along with Assorted Cakes like Tat Pare Chocolate, Swiss Roll and Muffins Cakes - Total Weight : 300 gms) nicely arranged in a Basket. 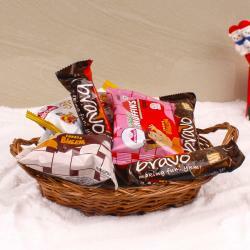 This hamper is filled with fabulous gift items for making anyone feel special. 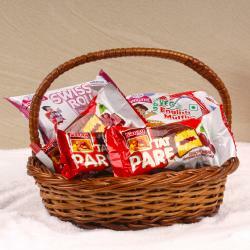 Shop our Christmas gift baskets which include the Assorted Cakes like Tat Pare Chocolate, Swiss Roll along with Muffins Cakes which compliment with Pair of Reindeer. 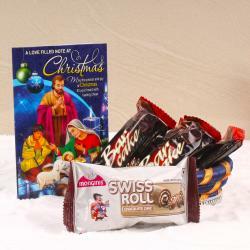 This unique gift surely surprised your dear one in India and gives a special memorable Christmas gift ever. Product Consists : 2 pcs of Reindeer and Assorted Cakes like Tat Pare Chocolate, Swiss Roll and Muffins Cakes - Total Weight : 300 gms) nicely arranged in a Basket.